Mary Ann Esposito will be taking part in the The Sun WineFest on Saturday, January 26th in Uncasville, Connecticut for a series of events. Join Mary Ann from 2:30-3:00 pm in the Uncas Ballroom for a cooking demonstration. She will be demonstrating Pork Tenderloin with Pomegranate Sauce with Sweet Potato Gnocchi. After the demonstration, she will be signing books from 3:00-3:30 pm next to the demonstration stage in the Uncas Ballroom. Later that evening Mary Ann will be taking part in the Celebrity Chef Dine Around in the Uncas Ballroom, benefiting Ch. 3 Kids Camp from 8:00-11:00 pm. She will be preparing and serving Lasagne Verde alla Bolognese (Spinach Lasagne Bologna Style). was in the Jauary 20th episode. It was a fantastic Italian Grocery. I think it was JPaco. She made a stuffed Lamb dish. I have been trying to see Mary Ann in Uncasville at Mohegan Sun for years. I hope I can finally get to see her soon. 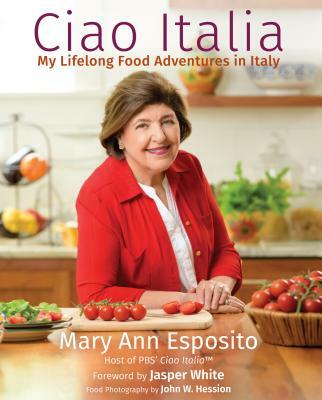 I am 70 and have been watching Ciao Italy all these years. Mary Ann is my idol!